In December, the Justice Department issued a rule banning bump stocks, a device used to convert semi-automatic firearms into fully-automatic weapons, in response to the devices’ effective use in the 2017 Las Vegas shooting. 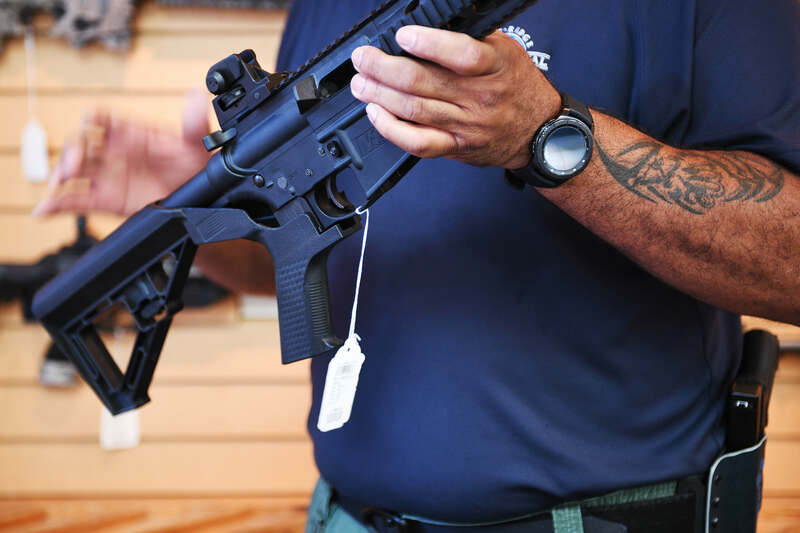 However, the ban does not compensate bump stock owners and/or retailers for their now illegal property, yet the new rules require individuals to either destroy or surrender their property to the Bureau of Alcohol, Tobacco, Firearms and Explosives (ATF). The National Firearms Act of 1986 banned machine guns of the general populace of the United States but let machine gun owners who already possessed machine guns keep their property and be grandfathered into a class of legally owned machine guns that were purchased prior to 1986. 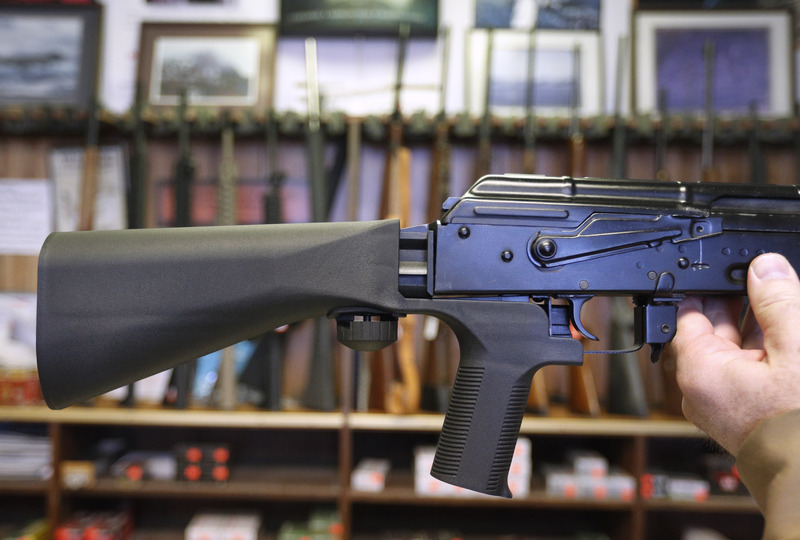 The recent legal banning of bump stocks was achieved through the mere reclassification of bump stocks as “machine guns.” Thus, the government does not believe that it has to compensate bump stock owners for possession of an already outlawed item and does has not offered to let people who already own or sell bump stocks to be grandfathered into a class of legal bump stocks bought before the 2018 ban. His case also argues that the Federal Government does not have constitutional authority to exercise police powers to regulate and legislate for the health, safety, morals, and general welfare of the people, and that only states possess the power to do so. The Federal Government does not have a police power in the sense that individual states do. The states can regulate and legislate for the health, safety, morals, and general welfare. The ATF based its new rule on the Akins case, and it asserts that it does not have to pay compensation because that case held that the Federal Government had the right to change the classification of property pursuant to the Federal Government’s police power. But, it is clear the federal government does not have a police power, which is reserved for the states under the 10th Amendment. Indeed, this is one of the most commonly tested parts of constitutional law on the Bar exam. According to Riley, the ATF has unconstitutionally assumed a position in which it can exercise police powers to ban an item, stemming from a ruling in the case Akins v. United States, in which the Akins Accelerator device was reclassified as a fully automatic machine gun and banned by the ATF. Although there are several other cases similar to his which are suing the government for not compensating individual bump stock owners, he claims that his is the only one that can obtain compensation for the average bump-stock owner. Riley has filed this case at the United States Court of Federal Claims because the Court of Federal Claims is the only court where the government can be sued for more than $10,000 in damages. Other cases were brought to district court on behalf of individuals or smaller parties whose total liability is less than $10,000. The collective liability from nationwide bump stock owners is approximated to be between $50 million- $200 million. “This is the first time in history that the government has banned a previously legal item and has not allowed someone to either keep the item or provide compensation for the item, as is required under the Constitution,” Riley noted.